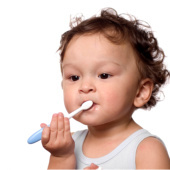 Our office regularly cares for the dental needs of children as young as two years old. 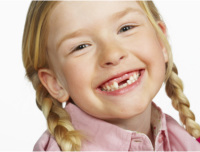 At Dental Arts, we believe that every child should have a positive experience at the dentist. Children have different dental needs than adults, and for many children the unknowns involved in a trip to the dentist can create unnecessary anxiety. We are fortunate to have both Dr. Helga Idrizi and Dr. Young Ah Choi on our staff. Both have developed a sizeable following as a result of their endless patience and ability to put even the most anxious child at ease. If your child has never been to the dentist before, the first visit will be a simple one, and our dentists will make the visit fun. At this visit we will assess your child’s needs and make recommendations for treatment, if needed. We recommend twice-yearly checkups and cleanings for children. Fluoride treatments are generally given at these appointments. When your child’s first (six-year) molars come in, we recommend placing sealants to protect these vulnerable teeth. The second molars usually develop around age twelve, and these teeth should be sealed as well. Pediatric dentistry focuses on the dental needs of children up to the age of eighteen.